The anti-corruption watchdog has arrested 72 people for alleged vote-rigging activities in the Information Technology Functional Constituency in relation to the 2016 Legislative Council election. The Independent Commission Against Corruption (ICAC) confirmed on Monday that 68 newly registered voters from the constituency were arrested, along with four middlemen – three of whom were also registered electors of the constituency. To be eligible to vote in the IT sector, voters have to be IT professionals who are members of at least one of the specific industry groups that the government recognises. Members can then apply for voter qualification through the Registration and Electoral Office (REO) and elect a lawmaker to represent them. ICAC. File photo: Tom Grundy/HKFP. 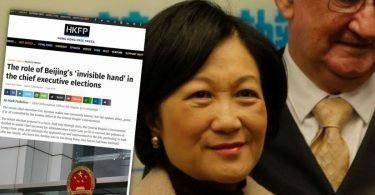 The ICAC said it received complaints alleging corrupt conduct in the election held on September 4 last year. The investigation found that most of those arrested had recently registered as voters through two professional organisations of the sector, but they did not reveal the names of the organisations in its press release. “The arrested middlemen might have collected personal data of other arrestees through relatives, friends and other associates for registration as members of either one of the two IT professional organisations and onward registration as electors,” it read. The release also said that the investigation showed that some of the electors had allegedly accepted monetary rewards in the process. Records from the REO revealed most of the newly registered electors had allegedly voted in the constituency. Charles Mok. Photo: Charles Mok. Before the election last year, the number of voters in the sector more than doubled to 12,115. A reason for the spike could be related to an increase of more than 6,000 members in the six months for the local chapter of international professional association, which pro-democracy industry groups urged professionals to join. 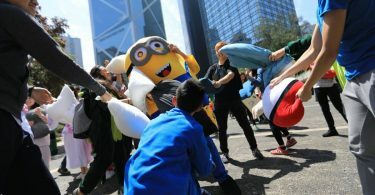 A pro-Beijing IT industry organisation also offered a HK$50 plan to allow members of a new e-commerce organisation to gain membership. Membership may have given recipients the right to vote in the sector. A Ming Pao report previously found that some IT sector voters were not working in IT, but in transportation and property businesses. 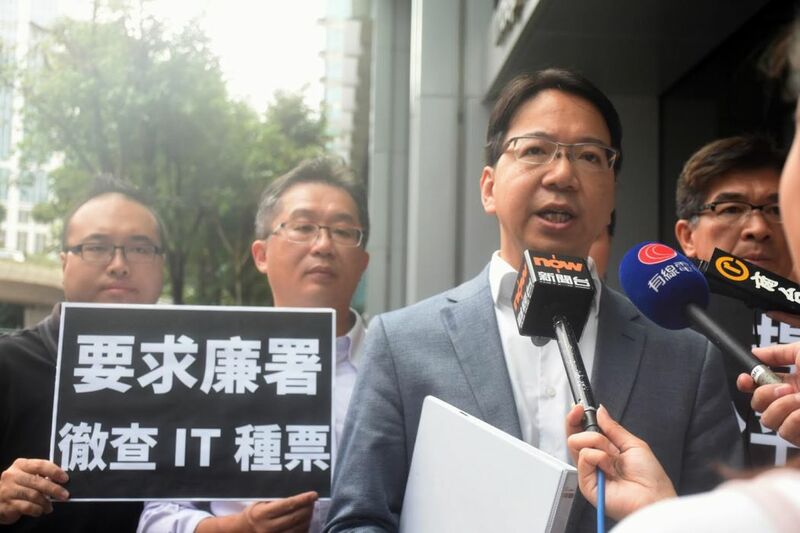 Charles Mok, the IT sector lawmaker, told HKFP at the time that it was very easy to manipulate the system. 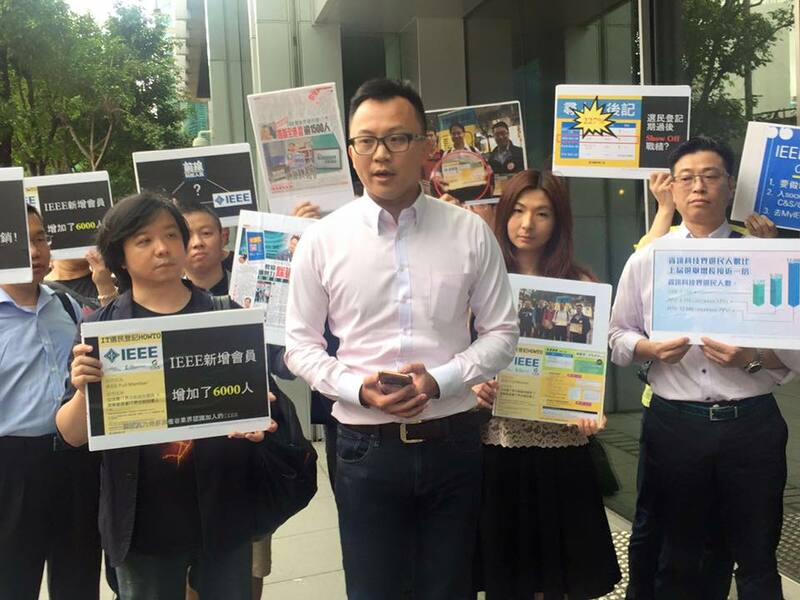 Mok and his opponent Eric Yeung Chuen-sing both reported suspected vote-rigging activities to the ICAC just days ahead of the election. Mok ultimately beat Yeung by 6,253 votes to 3,425 votes. Eric Yeung. Photo: Eric Yeung. 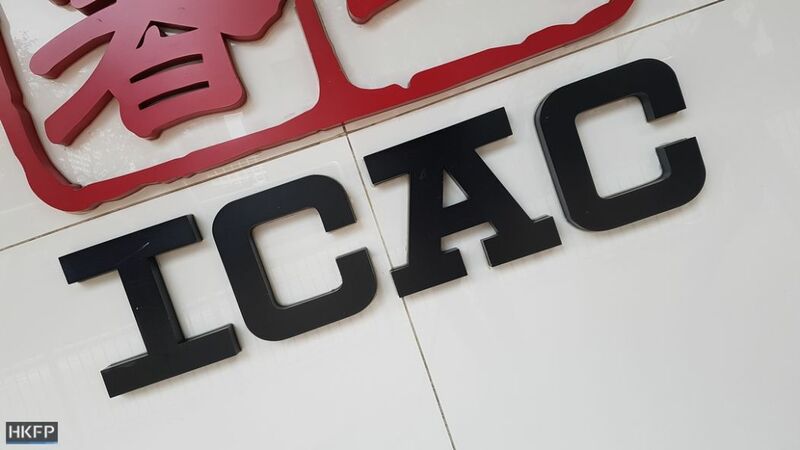 The ICAC said it conducted an operation codenamed Snow Leopard between Tuesday and Thursday last week, leading to the arrests. The agency did not release the identity of the arrested people. All the arrestees have been released on ICAC bail. The investigation is still undergoing. Democratic Party lawmaker Lam Cheuk-ting, a former ICAC investigator, said the operation was the largest one against vote-rigging activity in recent years. “I hope an important message can be understood that vote-rigging is a serious crime, jail sentences could be given according to past cases,” he said. He urged the ICAC to seriously investigate alleged vote-rigging activity in other sectors.